The Irony of my life is that I have my own salon & yet don’t get to relax (that’s how it is when its your own you know). With all the work I do standing on my feet or sitting infront of a screen. Dedicating myself to making the world more beautiful & fashionable, definitely is taxing. With me working pretty much 17 hours a day! 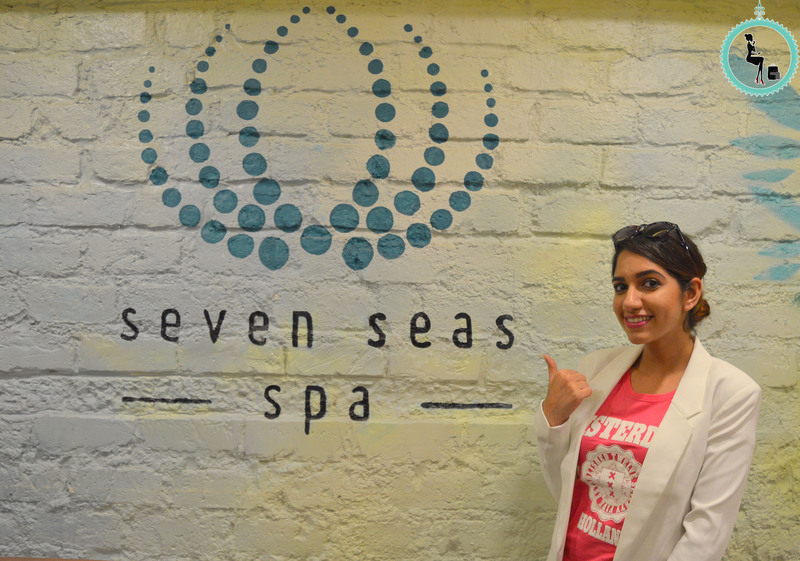 So the opportunity to sit back & relax at the newly opened Seven Seas Spa in Pune was god’s little way of getting me to relax. 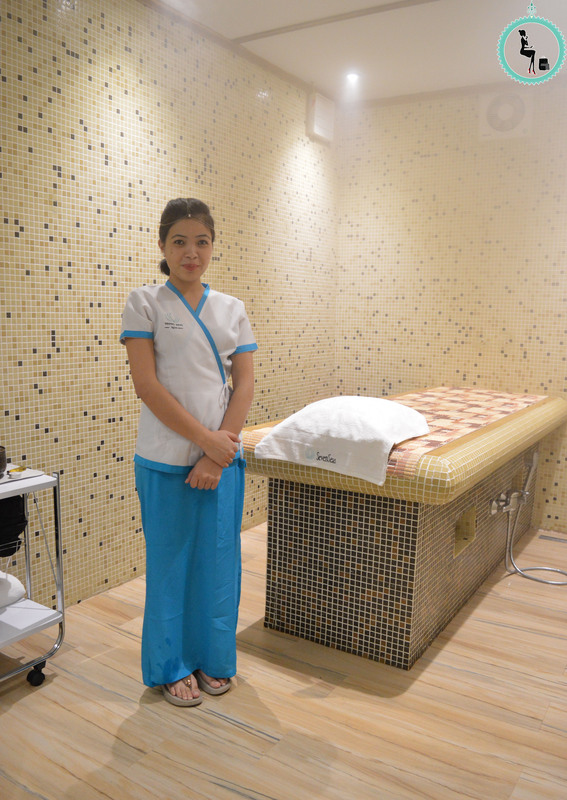 Sevenseas Spa is a new spa concept launched by the market leader Sansha Spas. At Seven Seas servies are designed to encourage well-being, restore calm, rejuvenate your body and nurture your spirit. All of the products used in the spa services are handcrafted in-house, using all-natural and organic ingredients. Most are prepared just for the day of your appointment, making them easily customized to meet individual needs and preferences. With big glass windows you can see a glimpse of the interiors of the spa & its looks so inviting! With a such a sight ,my feet started doubling up on the pace, to be warmly welcomed by an aromatic rush of air & tranquil ambience. The soothing sight of tastefully done interiors with a touch of artistic sense, all in minutes of entering the spa. Before going in for the hamam I was given a quick tour of the whole Spa & here isa little virtual tour for you of the Seven Seas Spa! Hamam: also known as the Turkish bath. Hamam in lay man’s terms is basically a ritual that involves steam, a bath & a massage. Hamam is a strengthening & re-invigorating servive! Excuse me for being a little excited, because Its my first hamam experience & that too in my very own city (I always thought I would have the hamam experience only in my travel to Turkey). So, I enter this steamy mystic looking spa room & welcomed by my therapist for the day- Silimone. I was asked to undress & go into the little steam enclosure in the room, while Silimone waited outside the room! I was supposed to take steam for 10minutes (not like I had a watch to keep a track of time) & boy, was that room really steamy or what! It never got unbearable at any point though with the heat. After 10mins through all the steam when I saw movement in the room I knew my therapist was back & the steam time was over. She handed me over the disposable cover ups & once I wore them I came out & was asked to lay down face down on the bed. This bed wasnt a normal bed it was like a stone bed. Although I had a nice & soft cushion (wrapped in a towel) for my head. With a forceful handheld shower, Silimone first just sprayed my body with warm water in a systematic way. The next thing I felt was my body being scrubbed excpet it wasn’t a scrub but it was the scrubber gloves (gloves that have texture of sandpaper on them). Then after a few minutes of peaceful wait I slowly started to feel foam being laid on my leg. It was a little slow process but the more the foam covered the rest of my body I just felt like I was floating (face down, I couldn’t see much so my imagination was taking me to dreamland). Once she covered my whole body with foam she started to massage the whole body! With my eyes shut it felt like someone was massaging me while I laid down in a cloud. After this she again washed off all the foam with a shower & I was asked to turn over. Again the same process of washing, scrubbing, foaming & massaging was followed up in the front. All in all an amazing & new experience. 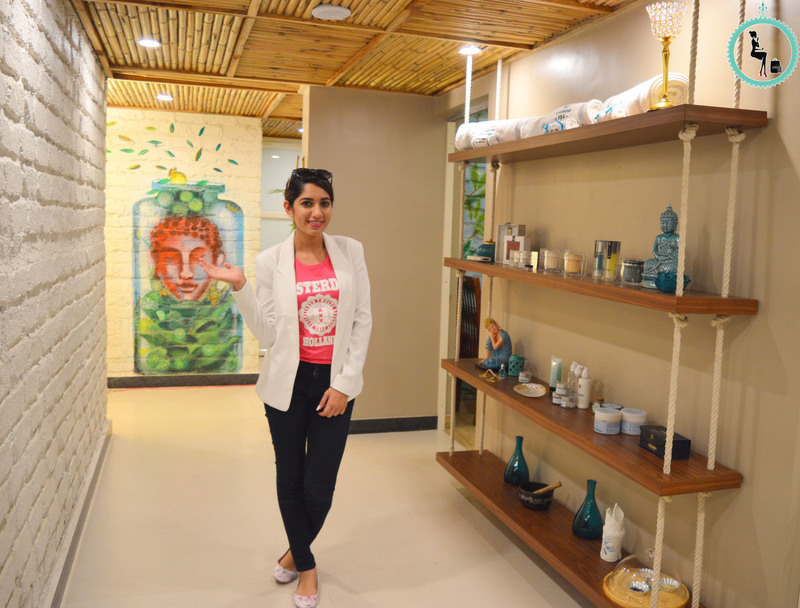 What’s so cool about the Seven Seas Spa, Pune? A lot of you find bliss when you dig into a cheesecake or drool over a chocolate fondue. So imagine what state of bliss you would reach if you were to get a Massage With Chocolate Fondue or Blueberry Cheesecake. All the therapy rooms at the Seven Seas are different. They have a couples massage room (haven’t heard of too many spas in Pune that provide the couples massage service either), a hamam room, a therapy room equiped with a steam section, a room with an attached open sky shower. They even have a lounge room where you can sit back & enjoy a herbal tea leisurely after your therapy! So you aren’t thrown back into the hustle & bustle with a jolt. As far as the ambience, service & the overall experience is concerned is at par with any luxury spa around the world yet they aren’t so exorbitantly priced. So guys go ahead, book yourself an appointment & go experience what all this hype is about. 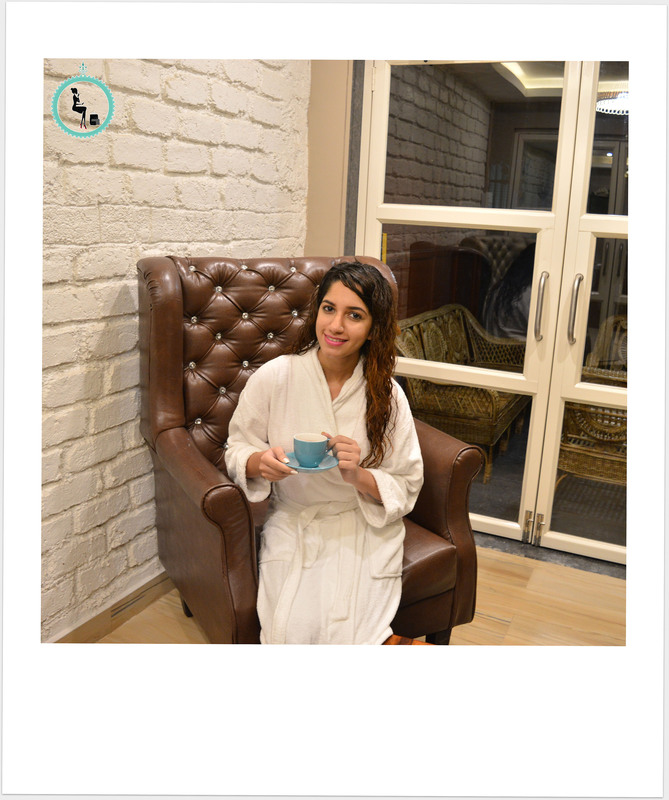 The review so rightly written… I always go to four fountains spa and recently discovered this one. But you know how one is apprehensive about new spas, you cleared all my doubts…. leme check my calendar and book an appointment right away!